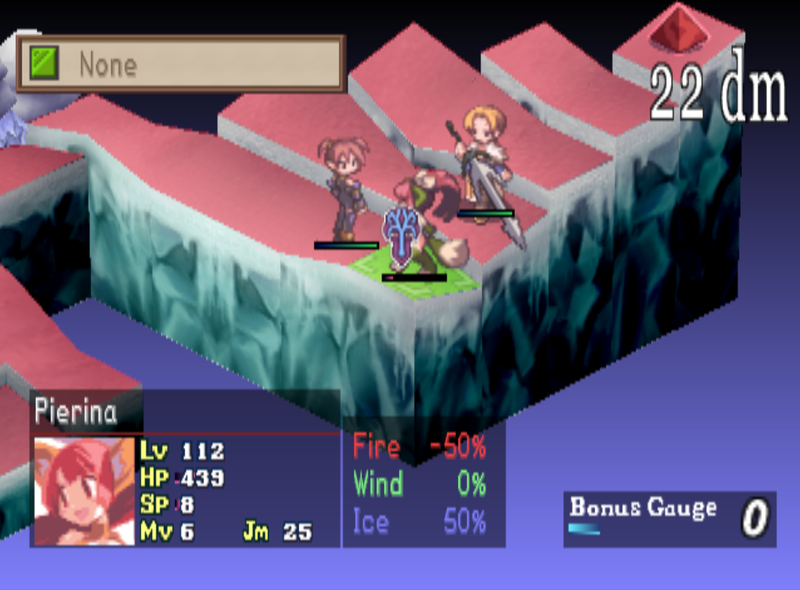 For people who are just starting out in Disgaea: Hour of Darkness - Jotunheim by far makes the best leveling location. This area is covered in Invincibility tiles and has two different types of enemies that are both level 14. If you don't already know about this trick, you can combine enemies together and level them up by throwing them into each other. Doing this will allow you to form one super monster which will allow you to exploit this map for a ton of levels. Until you reach Forest of the Dead or Celestia, this map is the best place for you to level up your characters - since you can easily level up your opponent by throwing them into another enemy this map will easily let you grind characters to level 70 - 80. You just have to be careful not to make an opponent so strong that you can't defeat them. For this reason I would recommend merging the enemies on this map together into two different level 54 enemies rather than one level 112 enemy when you're just starting out. Once you merge together enough enemies and are ready to defeat it, in the upper right hand corner of the map you'll find one open tile that doesn't have invincibility. You'll want to place one character above this tile and one next to it and then throw your enemy into the corner tile. It won't be able to escape from this area and since your characters have invincibility and it doesn't... It's easy pickings for you. As aforementioned there's two different types of enemies on this map, one that's wearing purple clothing and one that's wearing green. More specifically, the purple succubus enemy is a caster with an extremely annoying attack that damages you and heals her. The second enemy that's wearing green clothing uses almost entirely melee attacks and has no ways of healing themselves, this is the preferred enemy in this zone for me. 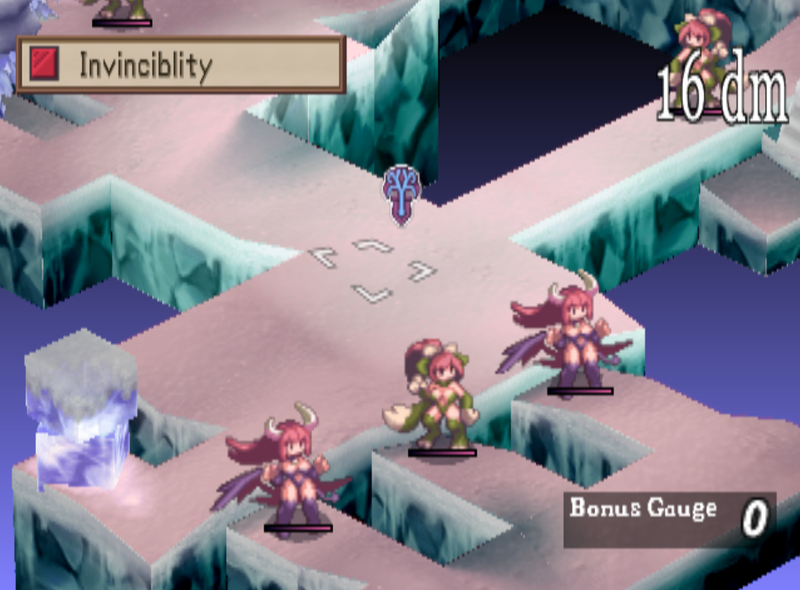 If you go with the caster succubus you'll usually have to drain her SP before defeating her since she can heal herself. Unless you have some characters that are higher level/dish out heavy hits then you probably can defeat her without her healing being a problem. The melee enemy has two annoying aspects, first is the amount of which she Counter Attacks you. If you have a character that Counters a lot they'll go back and forth with this NPC three or four times sometimes; if she is standing on the regular non invincibility tile this may end up defeating her and stealing all the XP for the character that Countered. This is only a problem though if you're trying to power level alts with a higher level character. Second ability that some people might find annoying on the melee enemy is they have a knock back ability which will move your character three or four tiles to one side. It personally didn't bother me at all but I know someone out there will probably not want to deal with this which is why I am listing it as one of the downsides.